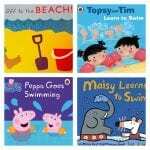 Swimming Lessons for 3 Year Olds- Are They too Young? Is a 3 year old too Young to Learn to swim? Swimming experts recommend to start children young and these days many parents do! The reason is, learning to swim must always start off by getting used to water and learning to relax in it. The younger a child is, the easier the familiarisation to water will be and ideally, parents should introduce their kids to water before they are 3 years old. Humans can only get used to water through regular exposure. To build your child’s water-confidence, especially if you have a toddler or a pre-schooler, you need to provide them with plenty of opportunities to play in the water. Between 0 to 3 years of age, you can help to boost your child’s water confidence by doing fun and safe activities during bathtime or in a swimming pool. 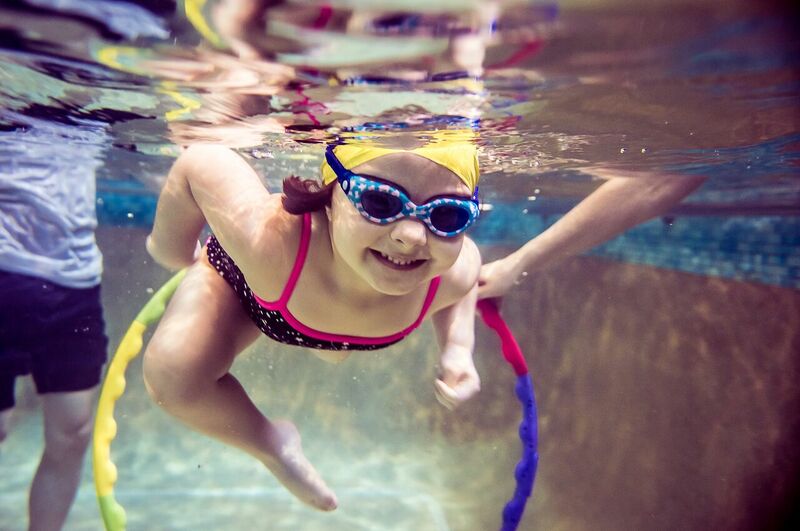 Family swimming sessions and ‘Parent & Child’ swimming classes are excellent ways to build your little one’s water confidence in swimming pools. If you let your toddler regularly play in a swimming pool- with our without lessons- by age 3, your child can normally jump in the pool and do the basics like kicking legs and climbing out of the water. As a parent, you could have some peace of mind if your child can do the very basics in water. Most parents really want their toddlers to be able to survive an accidental fall in the water and climb out of the water by themselves. That’s why introducing your child to water earlier rather than later, is highly recommended. But, what should be the next step? Introducing your child to water in early years has many advantages which are well documented on my other blogs. But, swimming is far more than just surviving an accidental fall in a swimming pool. There are different stages that a child has to go through before becoming a competent swimmer. After buliding water-confidence, the next stage is teaching the basic technique. This can start between ages of 3 to 4 years old. The reason is that kids need the right level of muscular strength to exert force against water when they push and pull the water during the strokes. Also, swimming involves the body having to work against the resistance of water, thus having a good body awareness, which meaning knowing where the body is in water, is a must. How Long will it Take to Learn the Basic Technique? The length of time needed for a child to learn the basics or the fundamentals of swimming varies from one child to another but, in my experience a pre-schooler (3 years old) who never had swimming lessons, but starts off as a happy and water-confident child, can take at least 5 to 6 terms (each term being 12 lessons) of group lessons to get truly comfortable in the water. At that point, they should be able to do all the basics with ease and swim for a short distance. A child who has done swimming lesson consistently as a baby and a toddler, still needs at least 2 to 3 terms of lessons to learn the fundamentals properly. 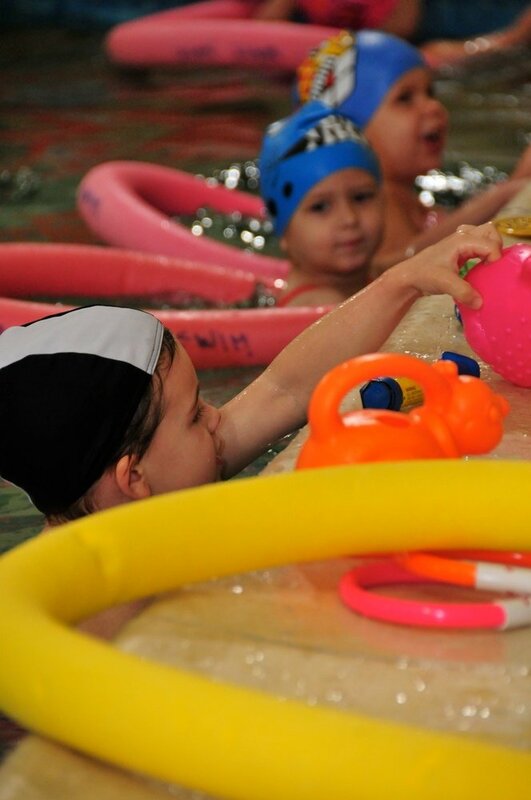 If a child has started swimming as a baby and has lessons consistently in a programme that also has stroke development phase (like ours), we expect children to swim front crawl and backstroke for 25 meters (25 m of Backstroke+25 m of Front crawl) easily by age 5 to 6 years. The skills required to swim with proper technique are complex. So, if your child is very water confident and can happily jump into the water and pick up sinkers from the bottom of the pool, this a brilliant start. However, please be mindful, it doesn’t necessarily mean kids can shortcut the fundamentals and jump into learning the technique and breeze through them. Not knowing the fundamentals will catch up with everybody later on during the stroke development phase. Trawling the internet and Youtube to find out how good a toddler or a pre-schooler should swim, may not offer you a realistic picture. One of the disadvantages of the internet is that it can supply us with whatever we are looking for: good or bad, true or false-so don’t believe everything you read or see. If you see a child on the internet who looks to be only a toddler, and ‘accidentally’ falls in a swimming pool and manages to swim the length of a pool before getting out, please be mindful, even if what you see is completely authentic, it is very rare. 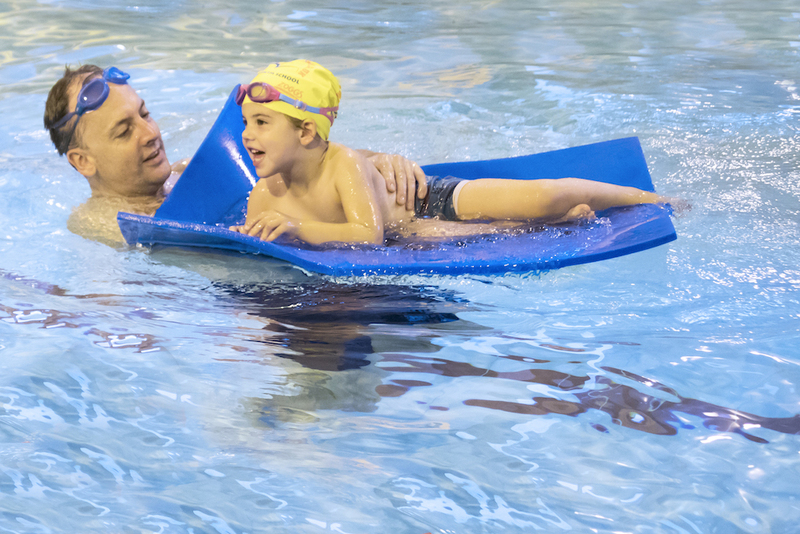 The fact is a vast majority of 3-year-olds cannot swim independently for a considerable distance without using floats or adult support. Isn’t age 3 too young to start learning to swim? No, it is not. Actually, in most swim schools including ours, between age 3 to 4 years, teachers start moving away from allocating most of the lesson time to playing and focus more on teaching technique by adding more structure to lessons. But, it will be only possible if a pre-schooler is already water confident. So, please follow the experts’ advice and start them young. 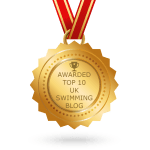 If you enjoyed reading this blog and interested in receiving more swimming tips, please sign up for our newsletter. A cet âge, les enfants éprouvent une véritable jubilation à s’exercer à la course comme aux sauts qui sont particulièrement appréciés. Il suffit de leur proposer d’inventer un saut et leur imagination comme la maitrise de nouvelles coordinations fera le reste. Remonter sans bouger, se laisser porter par l’eau et doucement émerger à la surface, sans effort, ils vivent une expérience inédite que contredit la chute des corps. Nul part ailleurs ils éprouvent cette sensation étrange de la légèreté. S’allonger sur l’eau, prendre des appuis parfois instables et trouver son équilibre sur une fluidité et faire l’expérience de sa résistance, il vole comme l’oiseau au-dessus du monde. Passer de la verticalité à l’horizontalité, s’allonger sur le dos et renoncer au champ visuel de vigilance pour ne plus voire que le champ du dessus sans repère du haut et du bas, de gauche comme de droite. 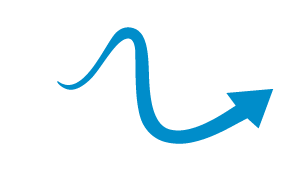 Droit comme un i tendu comme la corde d’un arc, sous l’effet d’une légère impulsion, donnée par un tiers, ou celle qu’il se donne, il fend la surface de l’eau comme une flèche qui file a travers l’air sans résistance aucune pour atteindre la cible. Comme un funiculaire aquatique, comme un plongeur d’apnée en situation de concoure, il se saisi de la corde et à la force des bras, il descend vers les profondeurs et découvre une nouvelle forme de locomotion. Muni de palmes, son pédalage spontané le déséquilibre et pour compenser les oscillations de son corps, il compense le déséquilibre en prenant des appuis par un battement de bras. D’un point à l’autre sur le ventre ou sur le dos, il s’invente un déplacement, surement peu académique, mais qui lui assure une certaine autonomie en coordonnant le haut et le bas de son corps. Il ne fait pas encore de natation, mais il nage. Pour apprendre il joue, il se joue de ce nouvel espace, de l’absence de gravité, de la découverte d’une motricité nouvellement acquise à travers la course et le saut, et surtout de la superbe espace de jeu et d’imaginaire que lui offre la dimension de l’eau. Et comme disait Bachelard, elle invite au rêve et ce n’est pas la moindre de ses qualités. The period between the age of 3 to 5 years old is particularly sensitive to learning whether it is the maturation of the cognitive or motor processes. However, the coordination and complex motor skills required for swimming practice go through a ‘pre-learning’ or FUNdamental stage during which the inversion of the locomotor diagram where the arms become more coordinated and the lower limbs can maintain the balance. In the same way, a child will have to give up the vertical position to adopt a horizontal one. Finally, the reversal and the control of the respiratory rhythm (breathing), will intervene only later, towards 8/9 years. And yet with the early-years period, the child enters a critical learning sequence. At this age, the children experience a real jubilation to practice racing as well as jumping which are particularly appreciated. It is enough to suggest to them to invent a jump and their imagination as the mastery of new coordinations will do the rest. Go back up without moving, let yourself be carried by the water and gently emerge to the surface, without effort, they live an unprecedented experience that contradicts the fall of the bodies. Nowhere else do they experience this strange sensation of lightness. Lying on the water, taking support sometimes unstable and find its balance on a fluidity and experience its resistance, it flies like the bird over the world. Go from verticality to horizontality, lie on your back and give up the visual field of vigilance to only see the top field without a top and bottom marker, or a left and right one. Straight as a tense I (letter i) as the string of an arc, under the effect of a slight impulse, given by a third, or that which he gives himself, he splits the surface of the water like an arrow through the air without any resistance to reach the target. Like an aquatic funicular, like an apnea diver competing, he seizes the rope and with the strength of his arms, he descends into the depths and discovers a new form of locomotion. Equipped with flippers, his spontaneous pedaling unbalance him and to compensate for the bobbing of the body, he compensates the imbalance by taking support with an arm flapping. From one point to another on the belly or on the back, he creates a displacement, certainly not academic, but which ensures him a certain autonomy by coordinating the top and the bottom of his body. He is not really swimming yet, but he is swimming. Under the surface of the water, a child releases some air bubbles that escape him and move away in a choppy sound. To learn, a child plays, he/she plays with this new space, the absence of gravity, the discovery of a newly acquired motor skill through the race and the jump, and especially the superb space of play and imagination that offers him the dimension of water. And as Bachelard said, it invites to dream and it is not the least of its qualities. Dear Dr Zylberberg, thank you for your feedback. Hope we did a good job on translating it into English too! 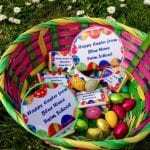 Hello, would you be able to email us on info@bluewaveswim.co.uk about your enquiry?